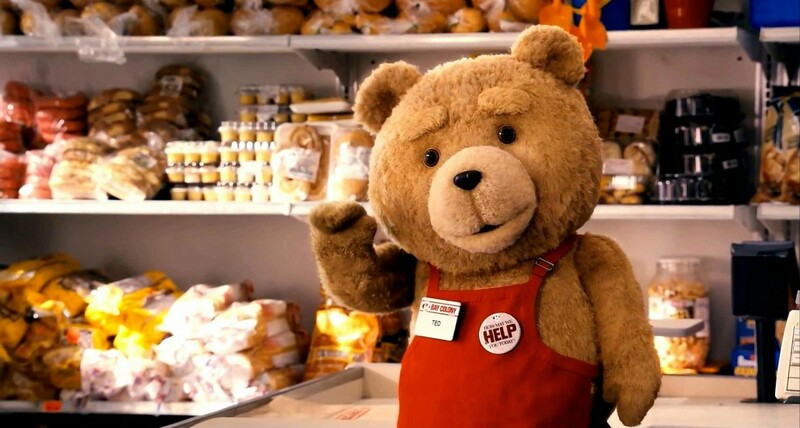 We knew earlier last year that Seth MacFarlane was going to make a sequel to his hit rated R comedy ‘Ted‘, since it made $550 million dollars on a $50 million dollar budget. But it looks like MacFarlane has cast Amanda Seyfried for the main female role, rather than Mila Kunis this time. MacFarlane said that Mark Wahlberg will be back to reprise his role, but Kunis’s character will play a very tine role in the new film, if at all. Seyfried is in his new film ‘A Million ways To Die In The West‘, and I guess the two of them got along so much, he hired her for the ‘Ted’ sequel. MacFarlane went on to say that him and Kunis are still very close and it had nothing to do with them getting angry at each other. Rather it was a creative decision to take the story in a different direction. I was a big fan of the first film and am looking forward to ‘A Million ways To Die In The West‘, which stars Liam Neeson, Charlize Theron, Seyfried, and ‘Ted‘ star Giovanni Ribisi. Seyfried is great, and I can’t wait to see how MacFarlane uses Seyfried in this sequel. This entry was posted on Monday, February 24th, 2014 at 2:27 pm	and is filed under Film, News. You can follow any responses to this entry through the RSS 2.0 feed. You can skip to the end and leave a response. Pinging is currently not allowed. [to Goldmember] There are only two things I can't stand in this world. People who are intolerant of other people's cultures... and the Dutch.